The WRI Ross Prize for Cities seeks to answer the question every city wants to know: How do you achieve lasting, large-scale, positive change in your city? This week, applications for the inaugural $250,000 WRI Ross Prize closed and the search begins to help us better understand how transformative change happens – and how to repeat it. An early peek at submissions shows more than 180 projects hailing from 115 cities on six continents. They cover cities from Antofagasta, Chile, to Zhytomyr, Ukraine. They address a range of problems and involve entry points ranging from big infrastructure to community-driven action and policy change across different urban sectors. Identifying the finalists and selecting a winner from this diverse pool will be a difficult task. The methodology behind the assessment is key: to find the winner, we are building on a growing body of research on transformative urban change at WRI Ross Center and beyond. The evaluators and the jury will grapple with several questions. The winning project is expected to have dramatically changed neighborhoods and, ideally, the city as a whole for the better. We’re celebrating impact, not intention or aspiration. Did the Project Improve People’s Lives? The simplest way to know if cities are changing for the better is to look for signs that quality of life is improving and residents are happier and more satisfied with their lives. Truly transformative urban interventions – changes that are dramatic, large-scale and enduring – are in short supply in a world where many cities are gridlocked by traffic, debilitated by housing shortages, and unable to extend basic services to many residents. A range of environmental, social and economic metrics can tell this story, and are often captured in various indices, surveys and project evaluations. For instance, São Paulo’s Municipal Well-Being Indicators showed that overall perceptions of quality of life increased for one-third of the population in 2015, based on a poll of over 1,500 people about different aspects of city life, such as health, education, environment, housing, labor and transport. Did the Project Help the City Reach a Positive Tipping Point? Urban transformations may unfold unnoticed over long periods of time, but one sure way to know it is happening is by looking at watershed moments that indicate a tipping point has been reached. Did Positive Change Spill Over to Other Cities? Good ideas tend to travel. This was the case with networked infrastructure, which was adopted across many European and U.S. cities in the 19th and 20th centuries, and now decentralized solutions – mobile phones, distributed sanitation and water service, and on-site solar – which are now leapfrogging centralized infrastructure deployment in Africa. We also see this with bike sharing, car-free days, and many “new mobility” technologies and services. We are interested in knowing about projects’ spatial and temporal reach, seeing if transformative projects demonstrate impact beyond the original project site and duration of political and funding cycles. What About Those Who Were Negatively Affected? 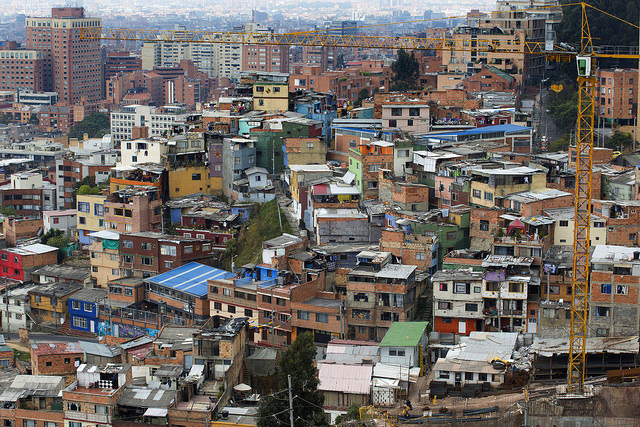 Unmanaged urbanization will almost certainly negatively impact some households, communities or environments. Where there are winners, there are often losers. When cities change for the better, the balance of positives outweighs the negatives and mitigation measures are put in place to lessen the burden on those affected. Negative household impacts might include displacement of residents, with all the carry-on effects that can come with that, including reduced access to services, lower quality and more expensive housing, and poorer health. For communities, negative impacts of projects might include overcrowding, reduced social cohesion or reduced productivity for some groups. We want to know who might have gotten the shorter end of the stick and what steps have been taken to compensate them. WRI Ross Prize evaluators and the jury will assess urban transformation in all its vibrant diversity. This will involve breaking new ground, since there are no widely accepted methodologies for doing so. Some aspects may seem like impossible trade-offs, such as weighing technologically driven urban transformation against social or political change, and how to balance a project’s impacts relative to its own size and the size of the problem it is addressing. Between now and October, we will create a longlist of several dozen semi-finalists. These projects will then undergo a more detailed and critical assessment to create a shortlist of five finalists. This list will be presented to the WRI Ross Prize Jury, selected for their visionary urban leadership, and a winner will be announced in April 2019. As we venture into uncharted territory, stay tuned for more by following #WRIRossPrize and watching this space. Have ideas about urban transformation? Reach out to join the conversation. More detailed profiles will be made public once the finalists have been identified and notified in October. Terra Virsilas is an Urban Development Associate at WRI Ross Center for Sustainable Cities.